Our doll family includes Mom, Dad, a sister and a brother. 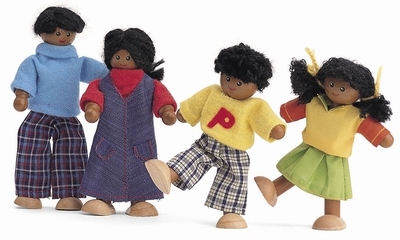 The dolls have wooden heads, hands and feet. The arms and legs are wire rope allowing you to position your doll and it will stay. They come dressed in colorful clothing. Dad stands 5" tall.